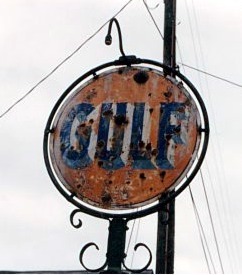 These six views show signs by the side of the road, each dating to a much older era. 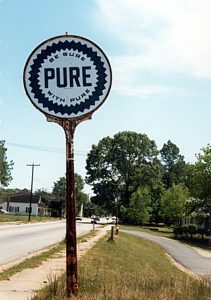 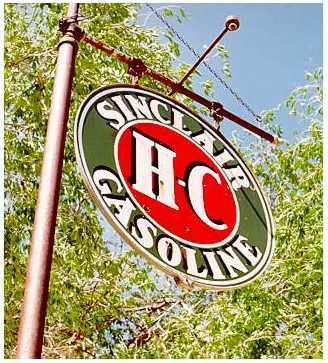 Pure, Gulf and Sinclair still exist as brands, but all are under different corporate structure from that of their heyday, and each operates in a greatly contracted territory. 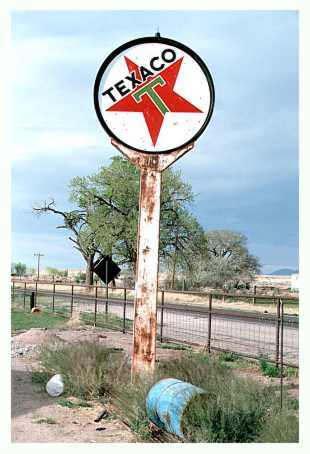 Texaco soldiers on now as a secondary brand for Chevron, after having served Shell in that role for a few years. 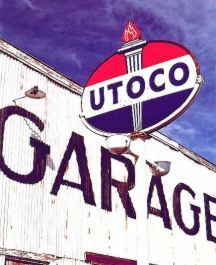 Utoco was absorbed by Standard of Indiana, which eventually became Amoco and then BP, and which likely no longer markets in any of the old Utoco territory. 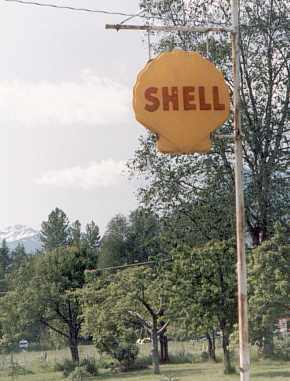 And Shell is Shell, with this logo having been revised and updated significantly many times over the years.